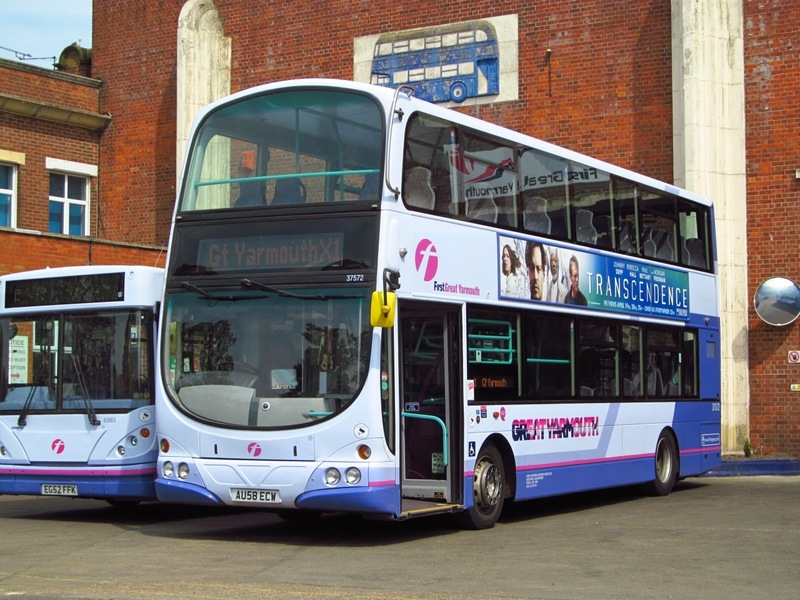 Norwich based Volvo B7RLE 66950 has been transferred to Ipswich, the link to the blog being she was new to Great Yarmouth in 2005. 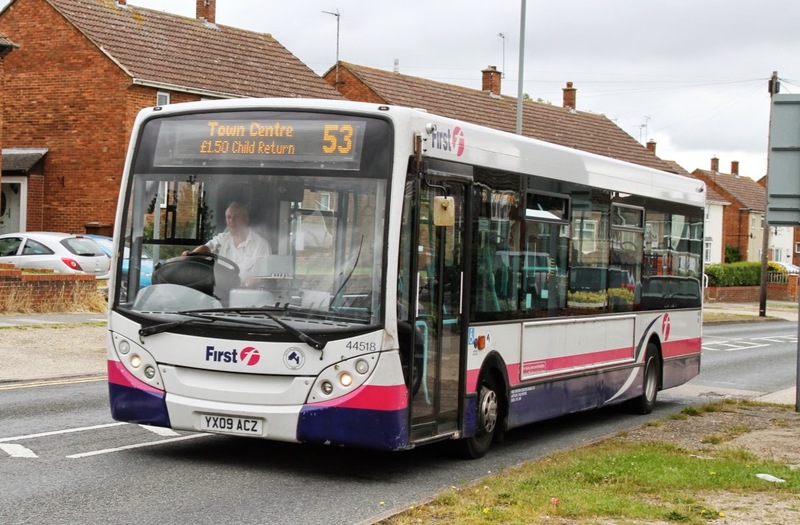 The three 66950/7/9 were diverted to Eastern Counties from the batch delivered originally to First Somerset & Avon and allocated to Caister Road to upgrade the 8 service. 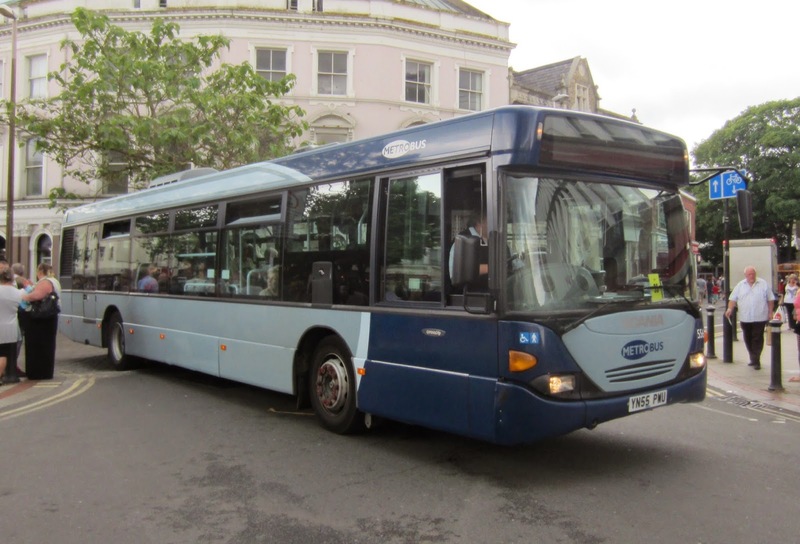 Although as you can see from my photo they did serve other routes including the odd trip on the X1. 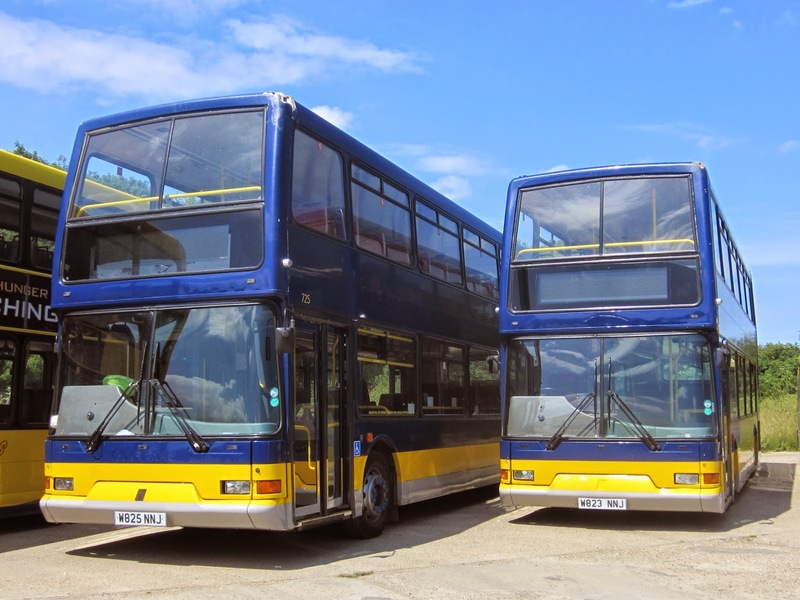 Sisters 66957 & 66959 are also expected to head to Ipswich along with two other former Yarmouth allocated vehicles 69006 & 69011. 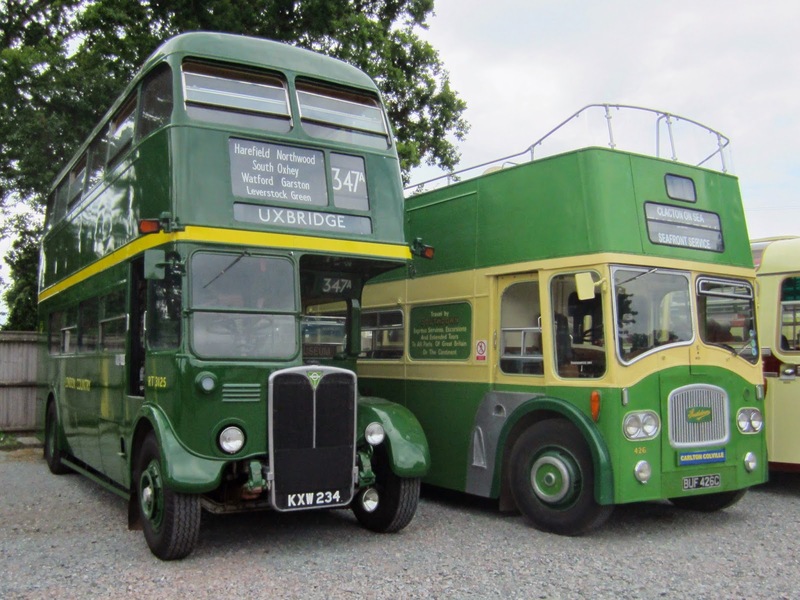 Thanks to Jim Long for the Ipswich info and Photograph. 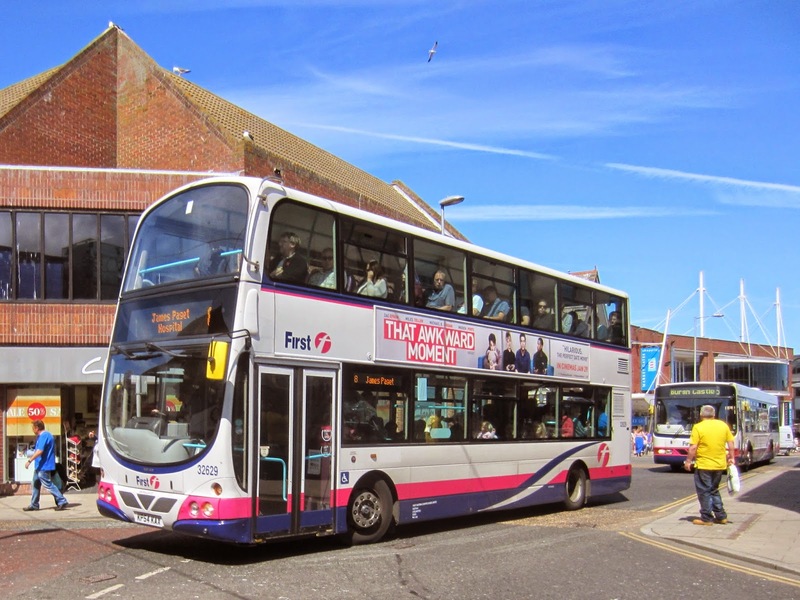 I accompanied Danny Beales from First over to Lowestoft today as the Lowestoft in Motion day was taking place in the town's High Street. 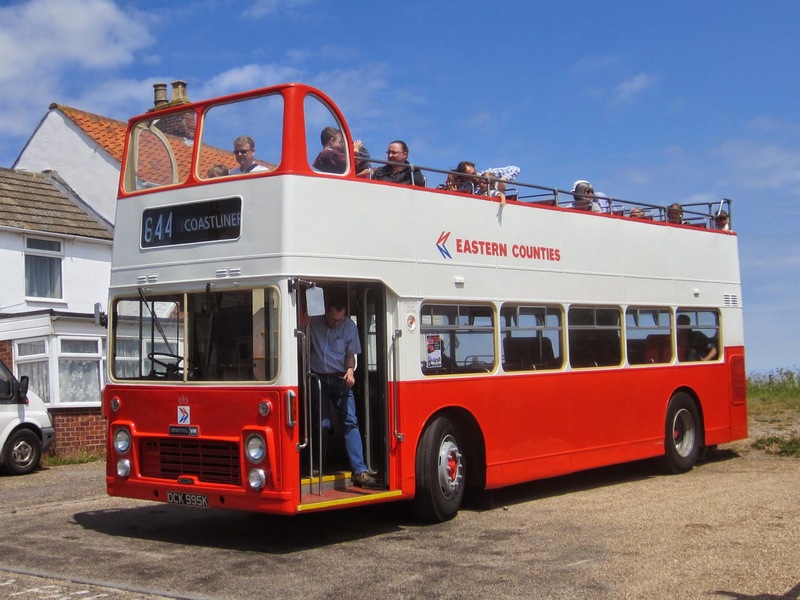 It was a day to promote local Transport links and other ways of travel around the Suffolk Town such as cycling and walking! 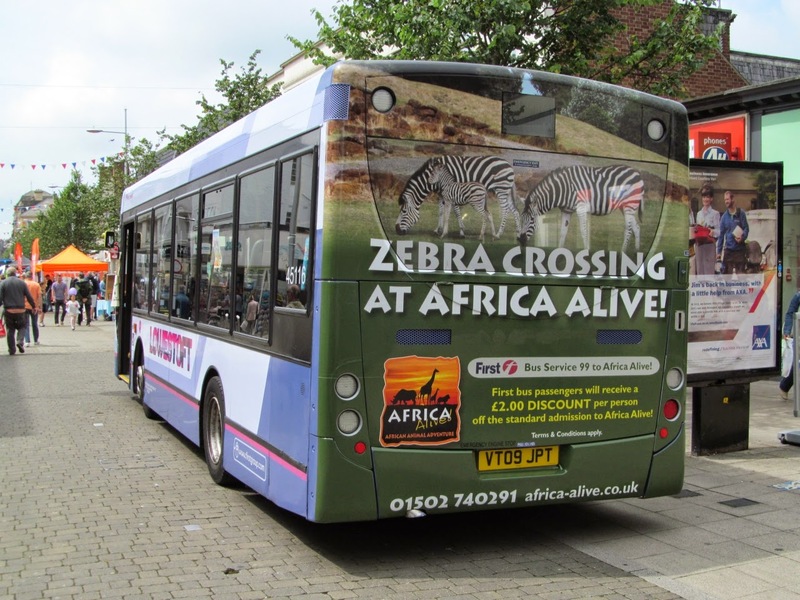 On the Bus front, First and Anglianbus had vehicles on show promoting their services, First Lowestoft Enviro 200 45116 was on display with its new rear ad for Africa Alive at Kessingland and their 99 service of course! 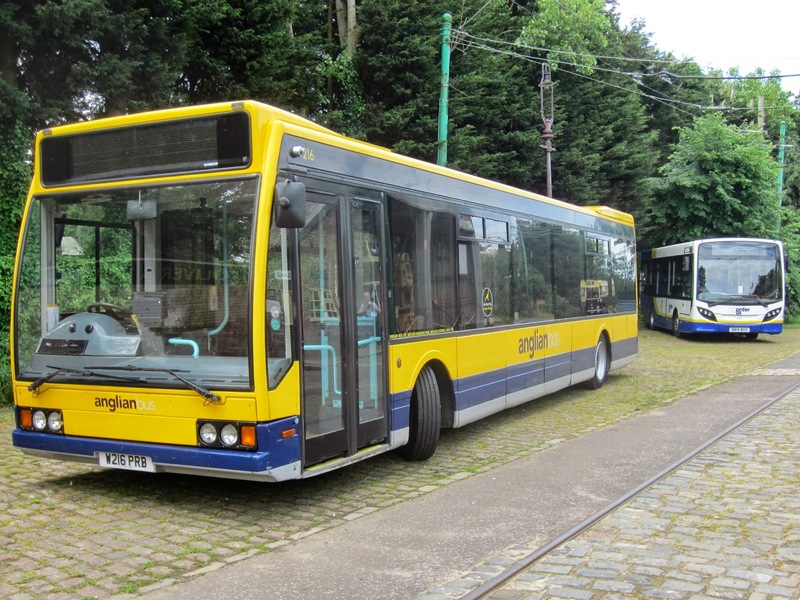 Anglian had MAN Gas bus 108 on display wearing the new lettering which is to be rolled out across the fleet. 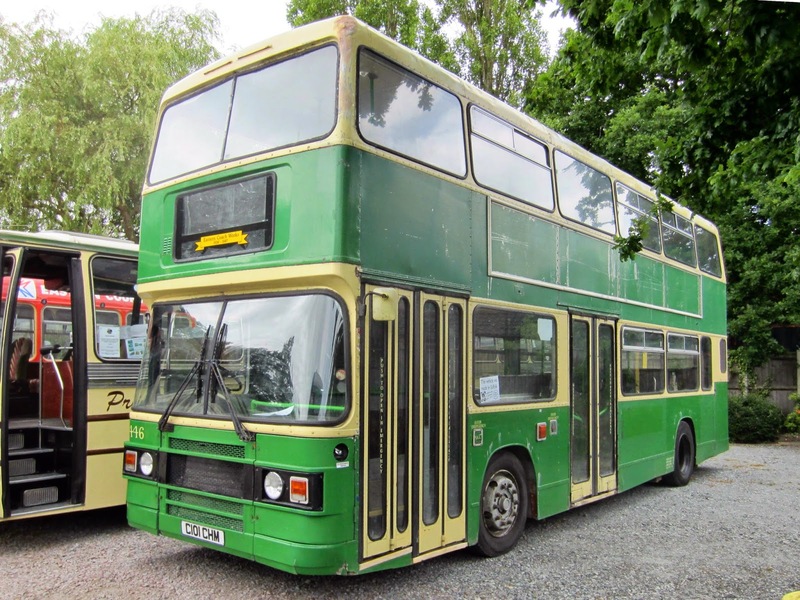 The Transport Museum at Carlton Colville had Lowestoft AEC GBJ192 on display also to complete the trio of Buses. Good to meet a few people from the other local blogs as well as some old friends, shame the afternoon came to an abrupt end due to the weather. 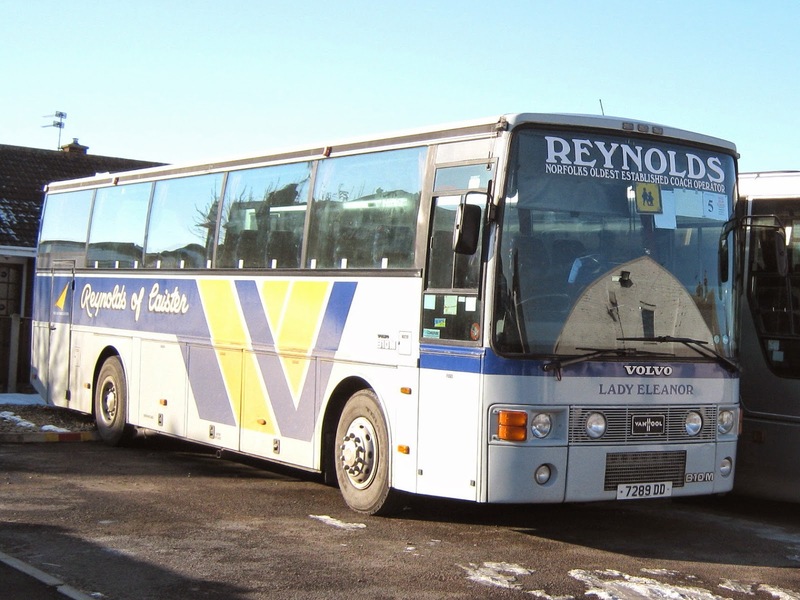 He was subsequently Deputy General Manager at Plymouth before his first General Manager posting at Great Yarmouth. 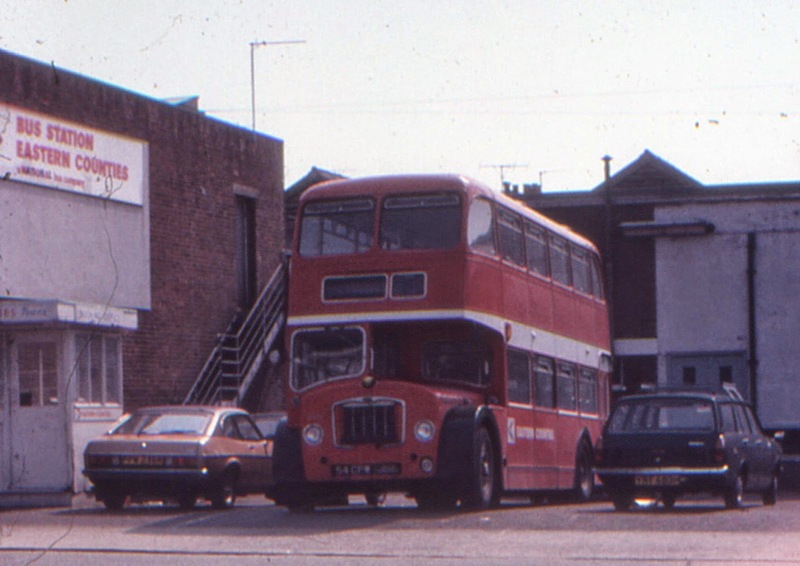 He became General Manager of Leicester City Transport in 1975 and remained in that post until 1984. 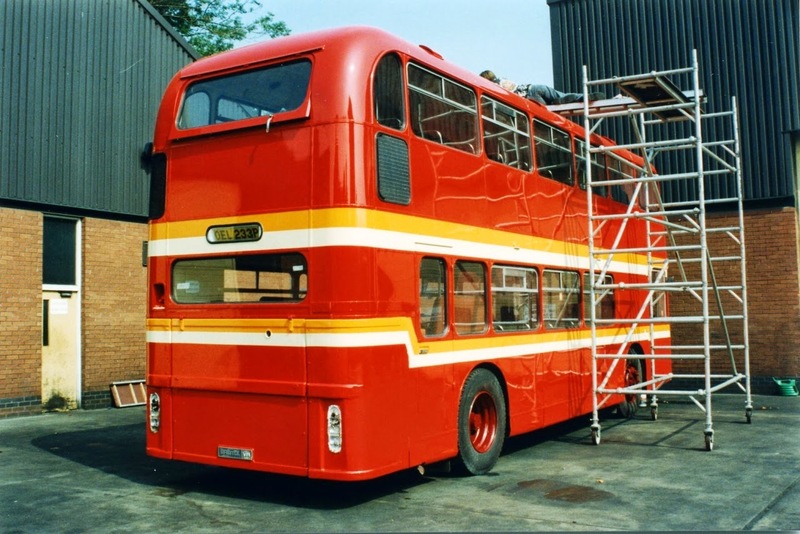 During that time, considerable work was undertaken with Dennis, to develop the Dominator. 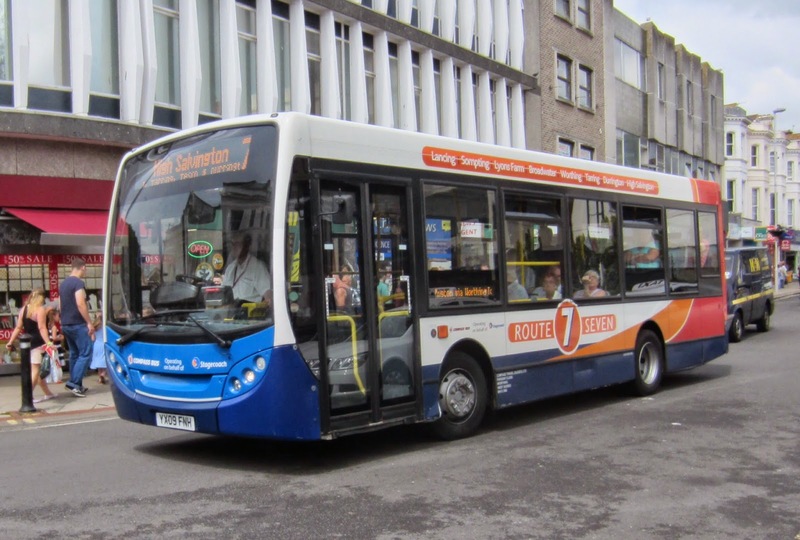 He returned to Leicester CityBus, as Chairman, in 1990 and remained in that position until sale of the company, to GRT, in 1993. I am sure we would all wish to express our condolences to Geoff’s family at this sad time. Information source: Traffic Commissioner for the Eastern Traffic Area - Notices & Proceedings Report 2182 - published on 25th June 2014. 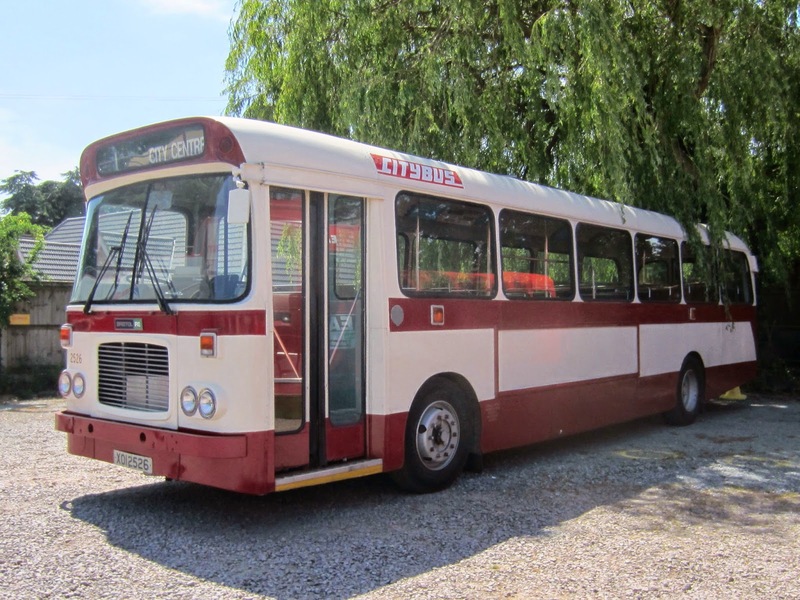 Sister 37571 AU58ECV came to the rescue and departed jam packed! As referred to in the previous post, I took advantage of a trip out to Anglian's depot at Ellough in Beccles. After a chin-wag, Tim returned to Beccles whilst I looked around the yard to see what was on offer. 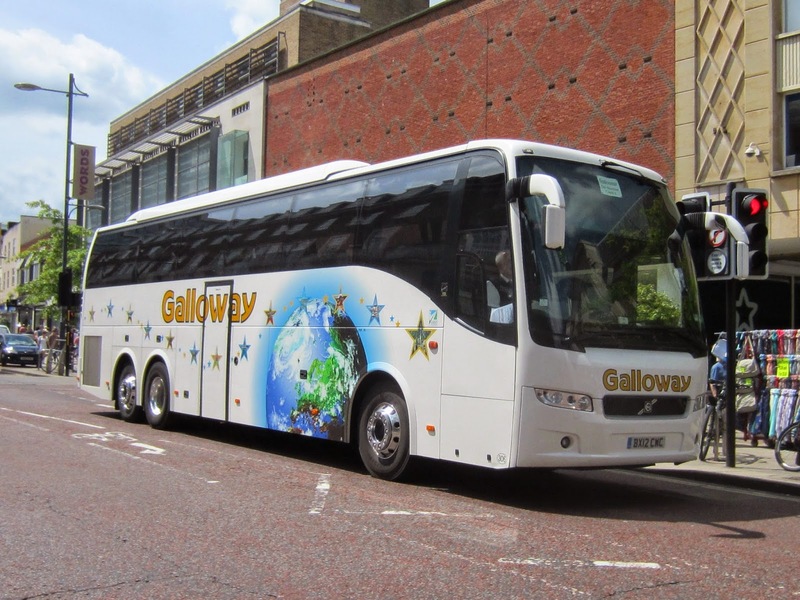 would enjoy my return journey on the less drafty lower deck! I returned in time to take advantage of another trip out; this time to Sparrow's Nest. 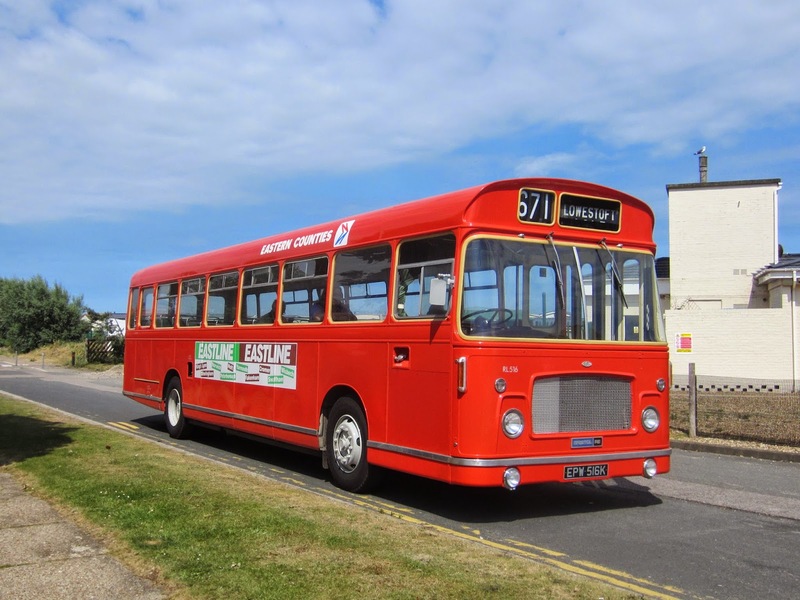 37572 seen here outside Caister Road last month. 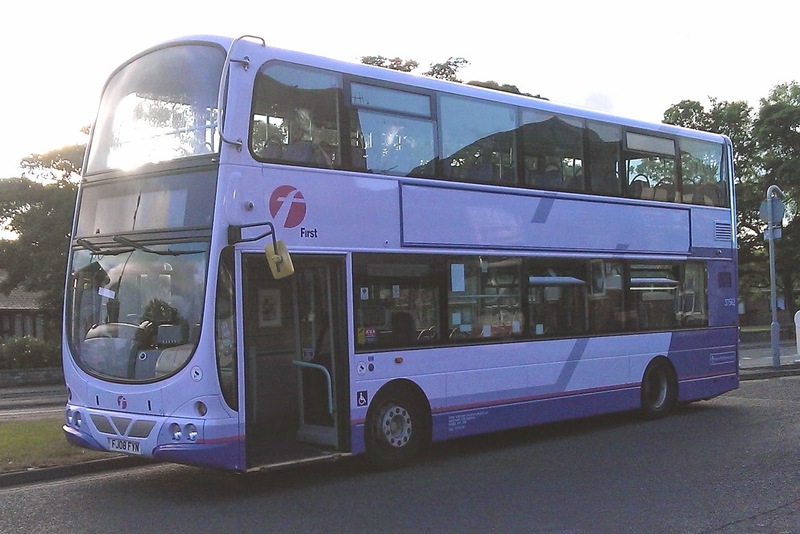 Another arrival to report is Volvo B7TL Wright Gemini 32629 KP54KAX from First Leicester. 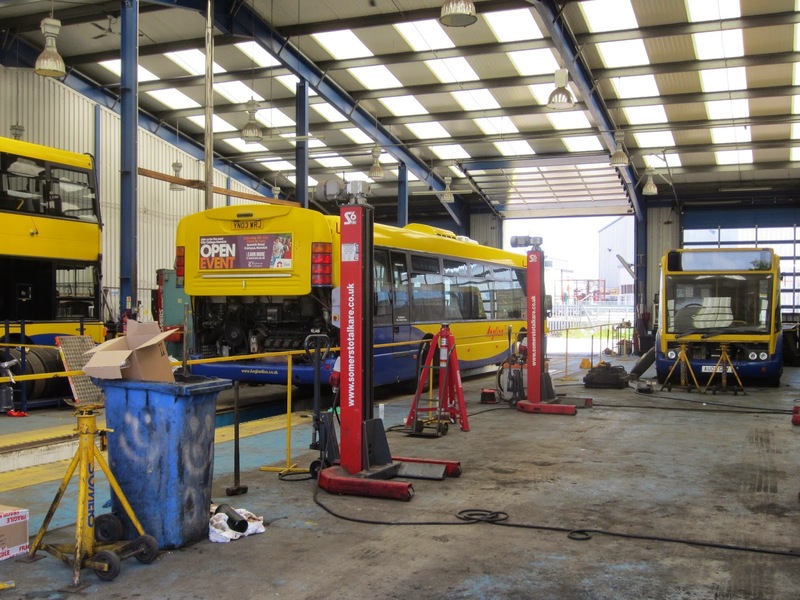 She arrived on Friday afternoon and is currently being inspected prior to entering service. 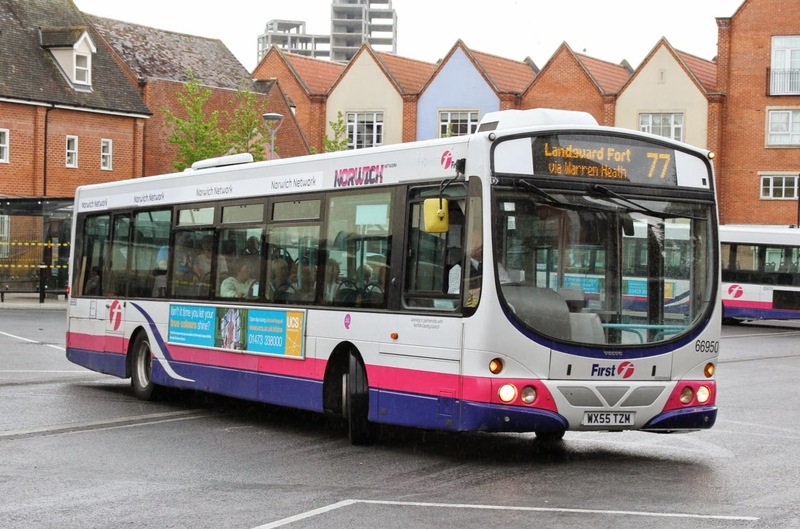 Moves to report are 37562 returning to Yarmouth after its brief spell at Lowestoft and 37572 moving to Lowesoft in its place on a permanent basis. 37562 will then transfer to Norwich in due course. 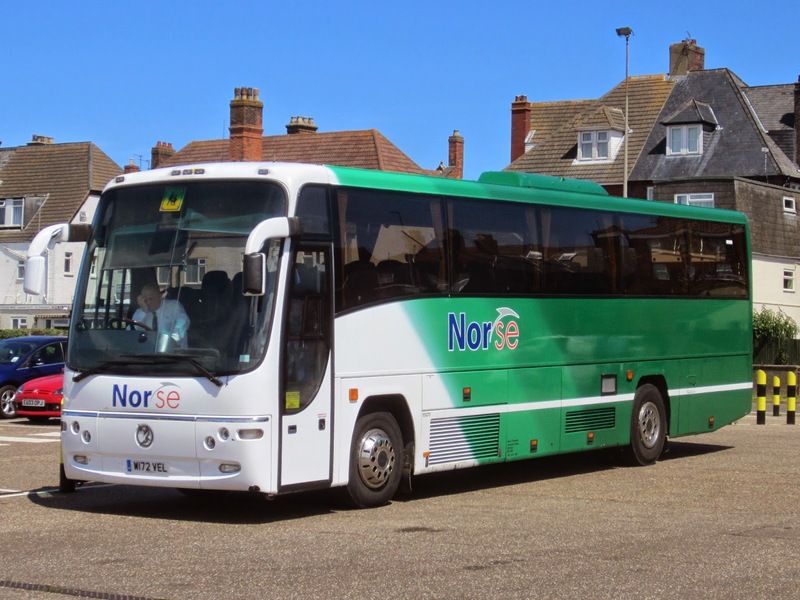 Yarmouth based Volvo B7TL 32202 has gone over to Lowestoft on loan and was noted this morning working the 08.10 X2 service to Norwich. 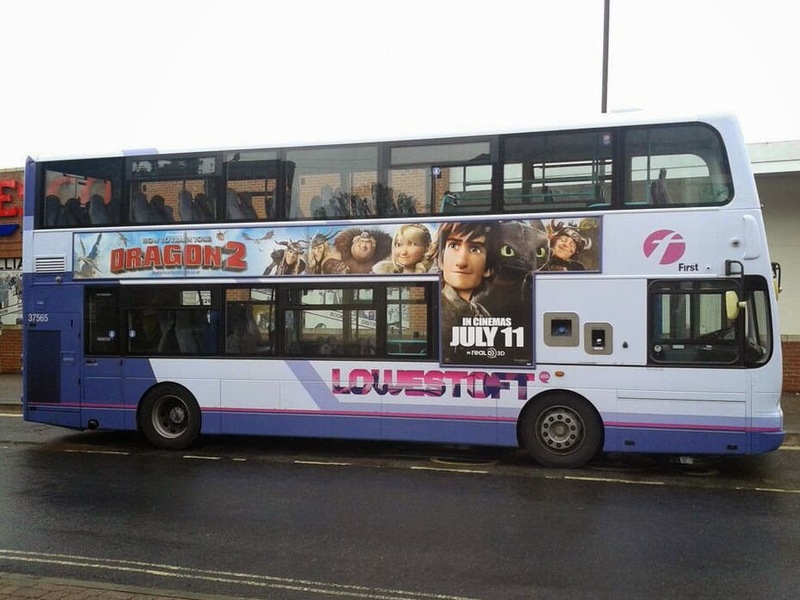 The photograph does not quite have the destination showing but if you look close it is there showing X2! 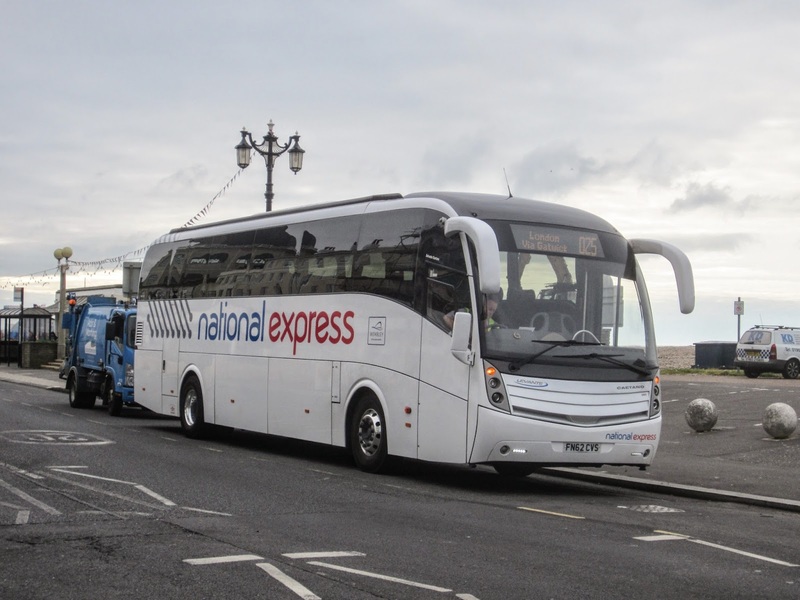 Sitting at the stands, amongst the Stagecoach buses, was National Express Volvo B9R /Caetano Levante FN62CVS. 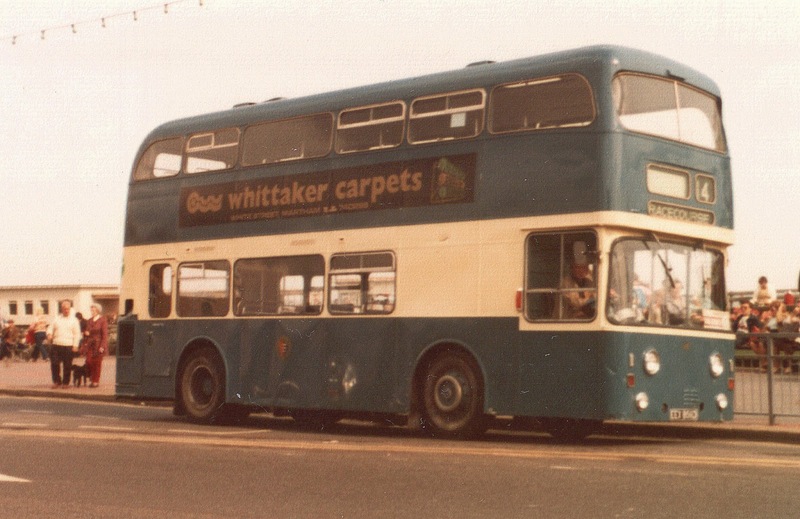 After visiting relatives, we popped into the East Wittering shops for supplies and saw a Stagecoach bus approaching. 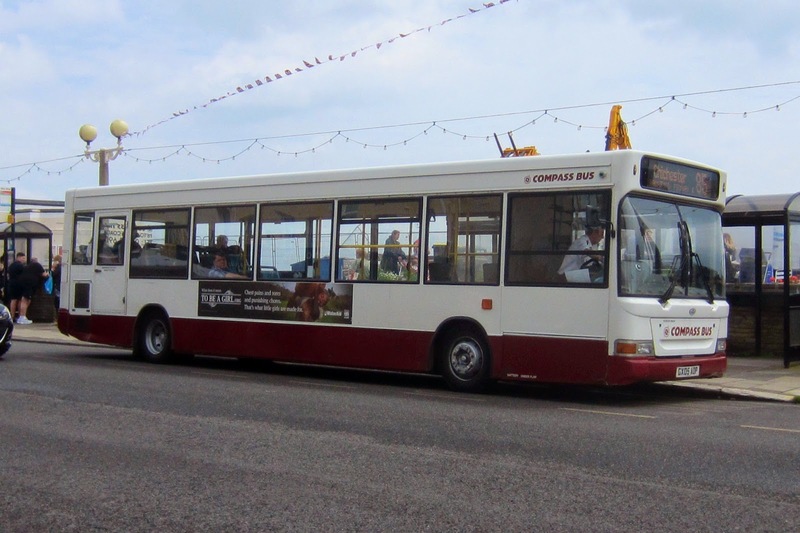 Finally, on our walk back to my daughter's home, I saw Compass Bus GX05AOP at the Worthing Pier terminus. 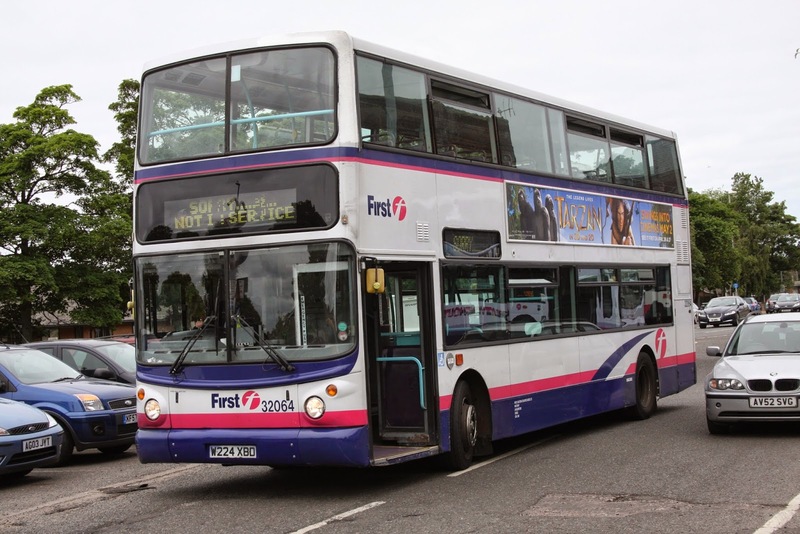 A few vehicle movements have taken place at Ipswich on Friday evening. 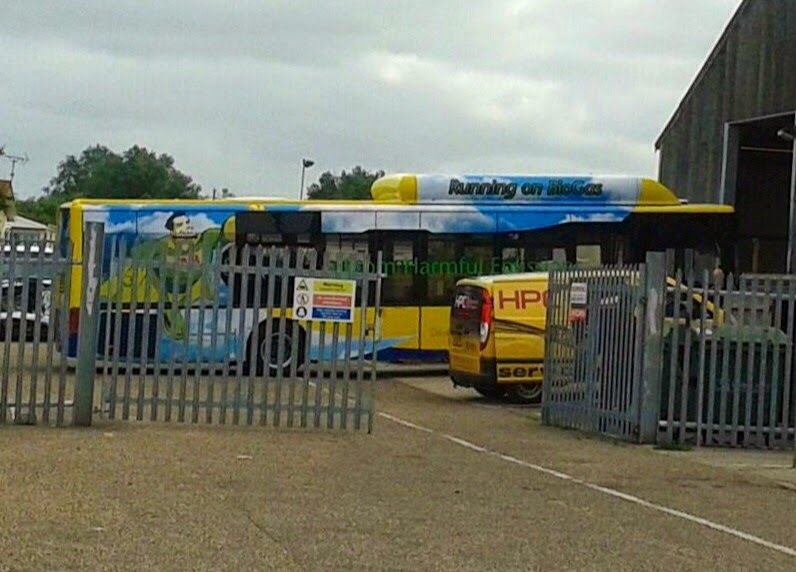 Enviro 200 Darts 44517-44519 have moved over from Essex with Scania L94's 65690-65692 moving in the opposite direction. 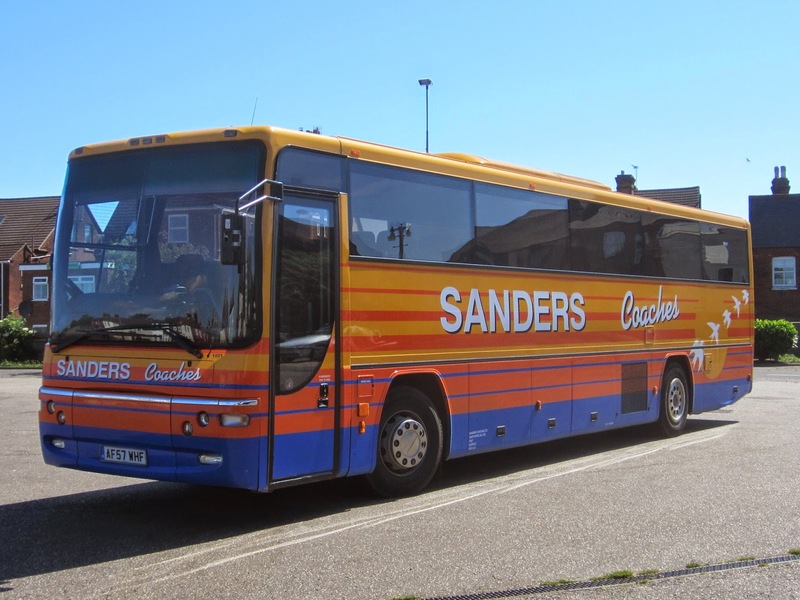 You may well notice that the Scania's are returning to Essex, there home before moving to Ipswich. Thanks to Jim Long for all the details and photo. 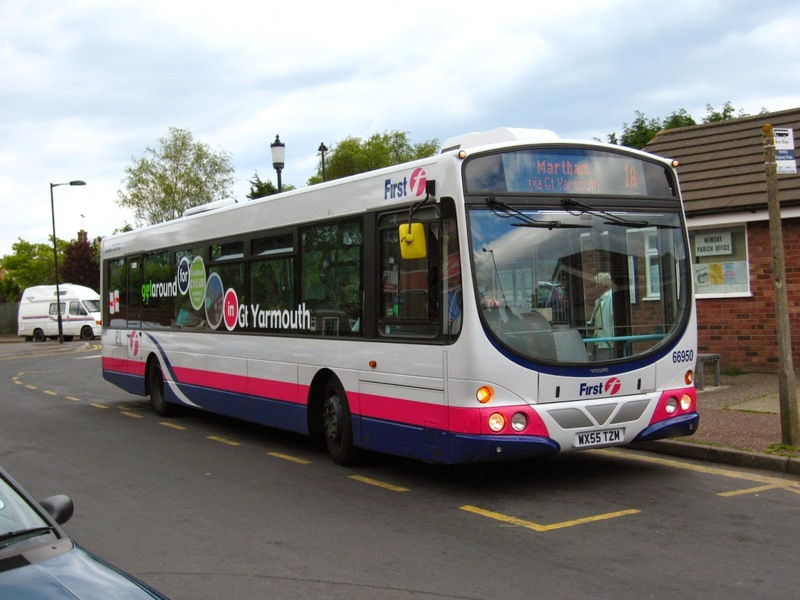 The final two ex Leicester Volvo B7TL's have now entered service at Yarmouth. 32059 W219XBD & 32064 W224XBD were both out in use around the town today. 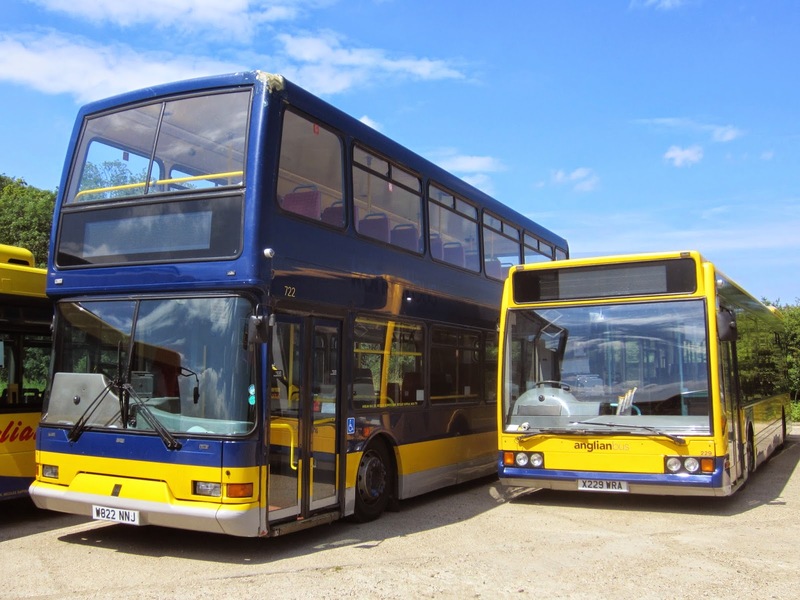 All seven arrivals are now in service with 32061 currently on loan to Ipswich Depot to cover their refurbishment program. 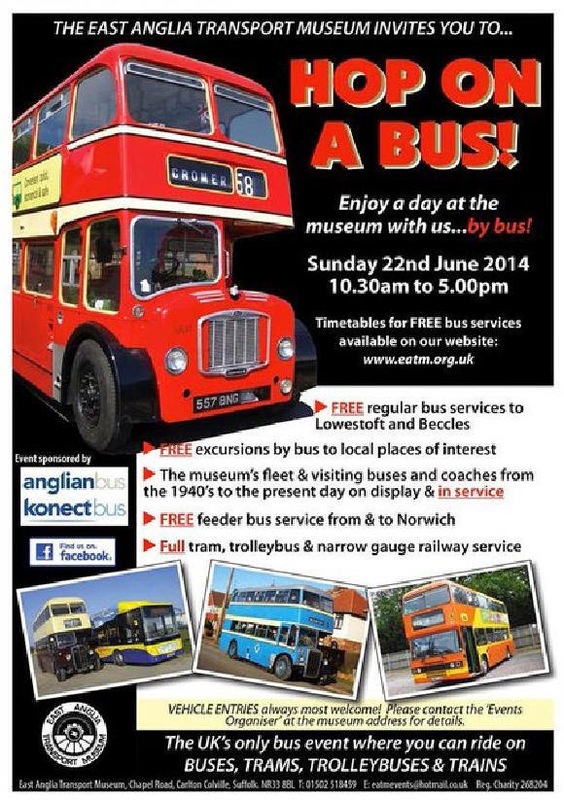 There will also be free excursions to local places of interest using the museum’s and visiting vehicles from the 1940’s to the present day. 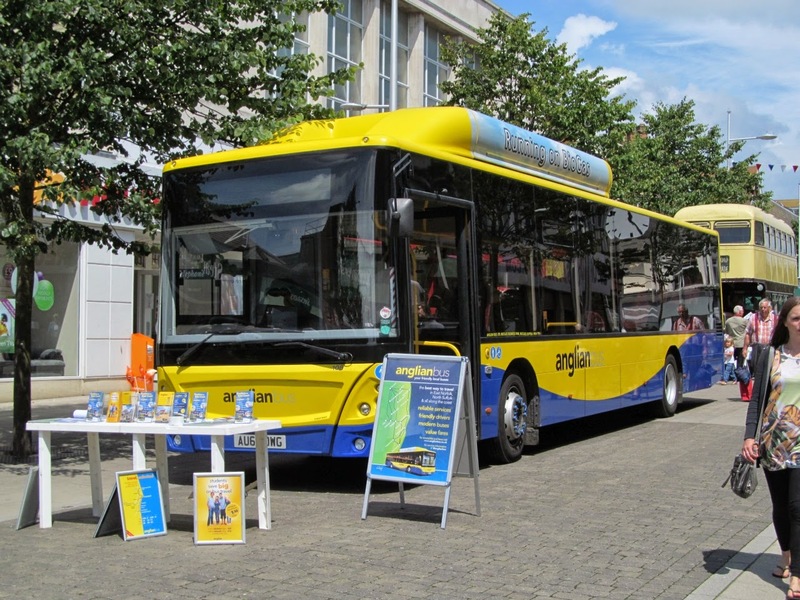 As always plenty of free bus rides will be on offer with intensive timetables in operation! 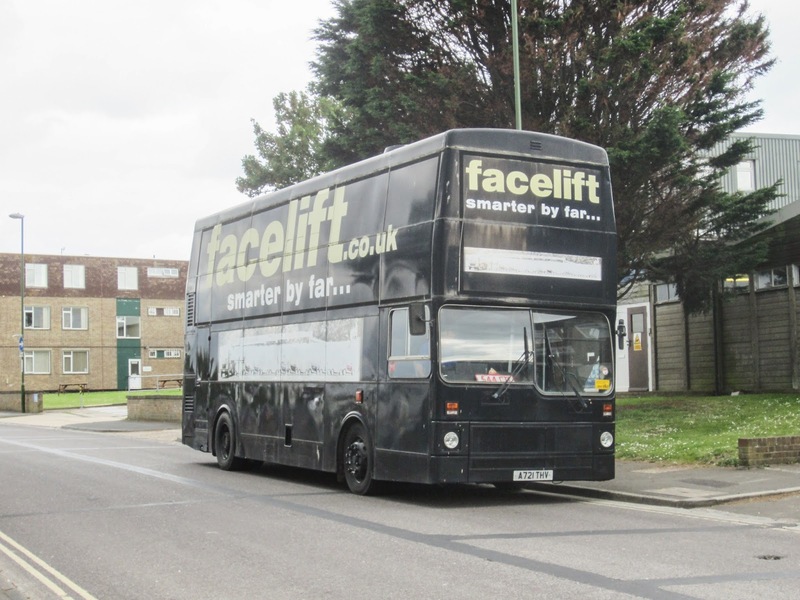 Syd Eade was observing activity in Lowestoft yesterday and his camera wasn't that far away! 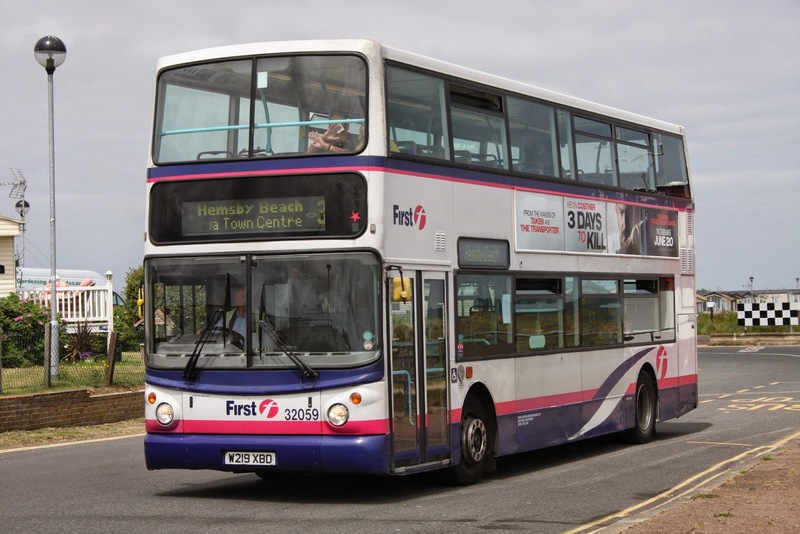 The services to Kessingland were noteworthy in that both Anglian and First were using route branded buses but for other services! 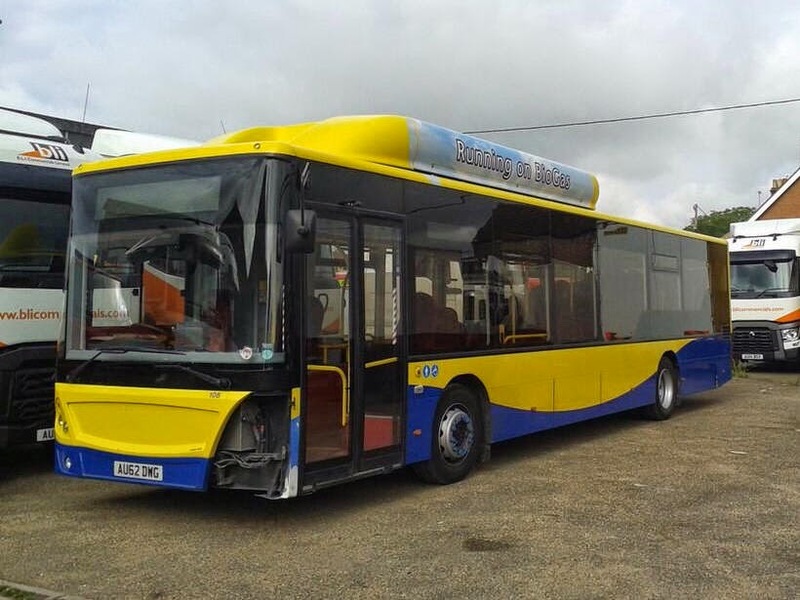 One of Lowestoft's withdrawn Volvo Olympians has left the fleet. The Eastern Area Traffic Commissioner today published his latest Notices and Proceedings Report on the Gov.UK website. 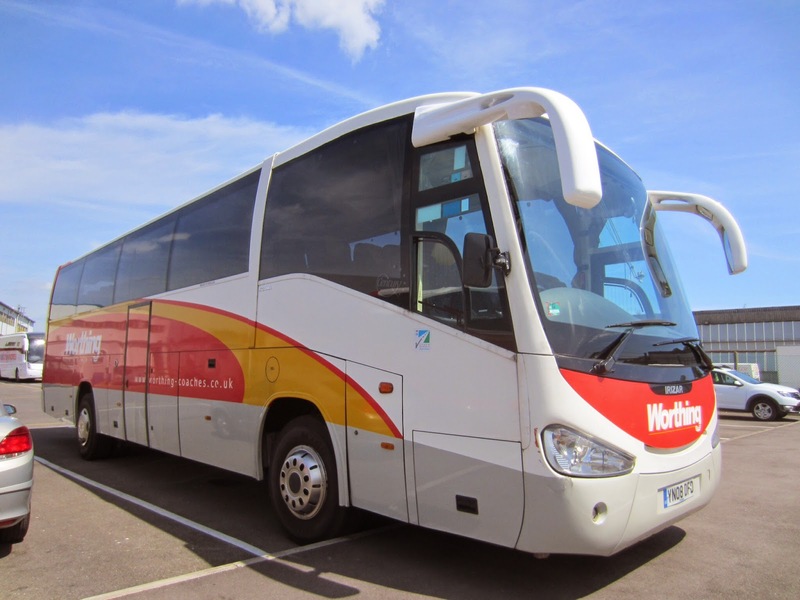 As already reported on the blog, Borderbus of Beccles have registered a new hourly 146 service between Southwold and Norwich via Reydon, Wangford, Wrentham and Beccles. 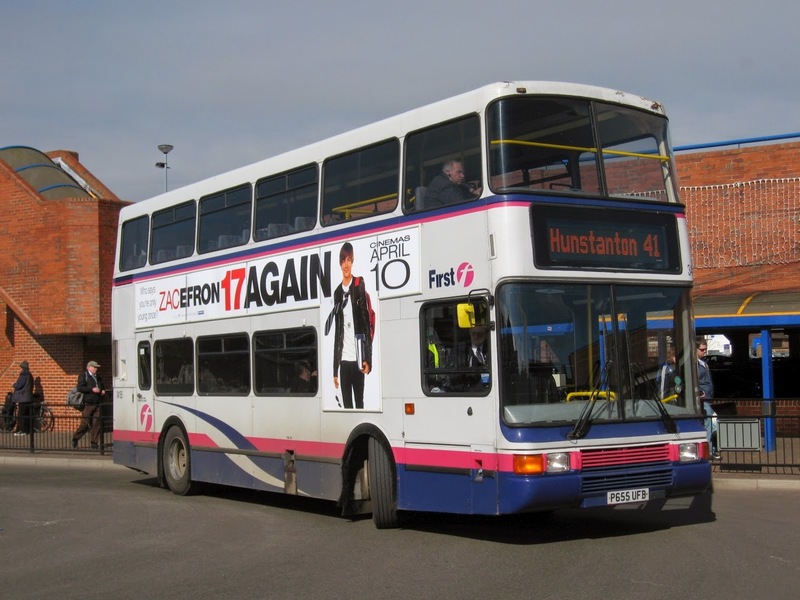 X1 Peterborough to Norwich - amend route, start & finish point, stopping places and timetable. 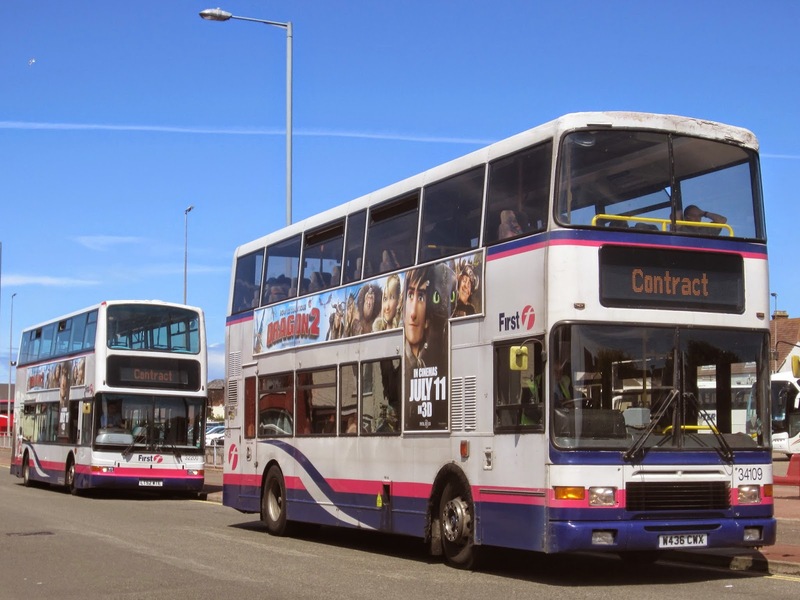 Information source: Traffic Commissioner for the Eastern Traffic Area - Notices & Proceedings Report 2181 - published on 11th June 2014. A certain boy band were playing at Wembley Stadium this weekend and having an 8 year old daughter mad about them meant a trip to London was booked to see them in action. 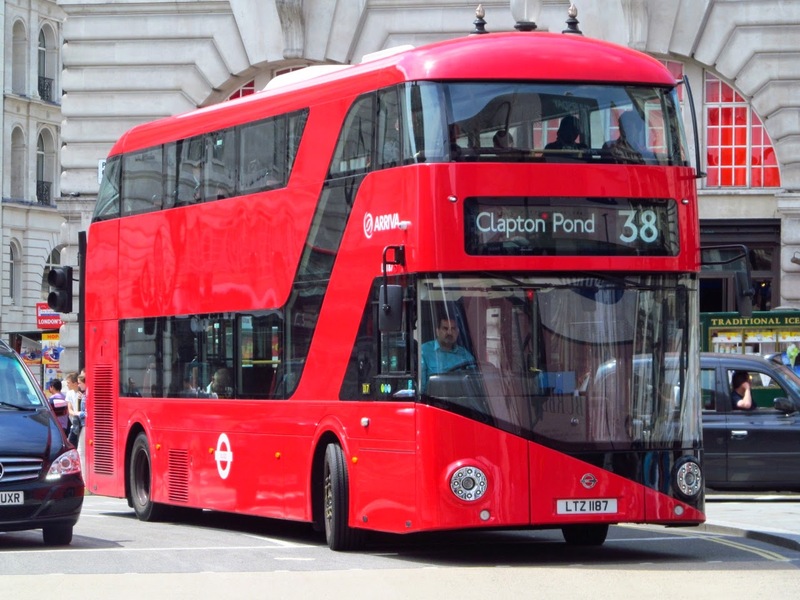 To be honest the London Bus scene has never really been one I have followed but this was my first opportunity to see the new bus for London on the streets. 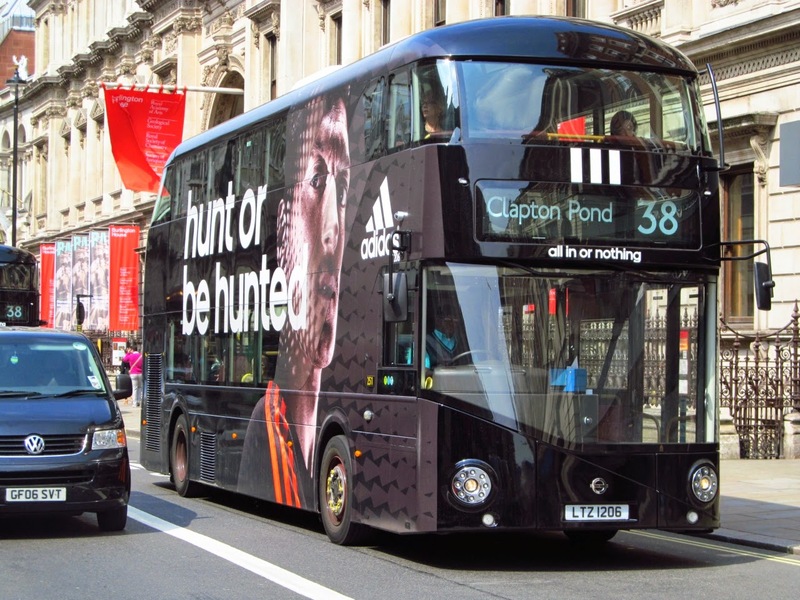 given all over Black adverts for Adidas to coincide with a certain football tournament about to start in Brazil. Top: LT206 LTZ1206 in Black seen here in Regent Street. 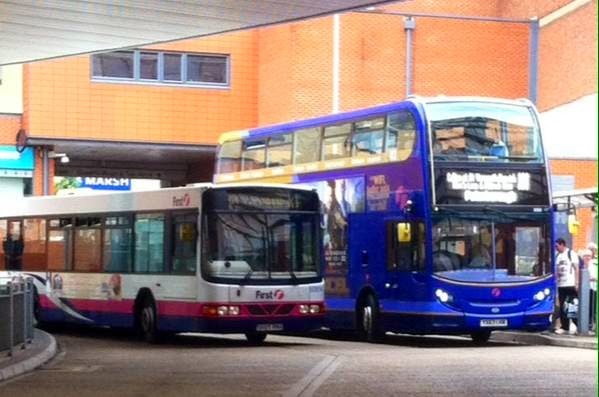 Bottom: LT187 LTZ1187 is seen here in Piccadilly operated by Arriva wears the traditional Red Livery. My thanks for the report Jamie and hope you enjoyed the trip!! 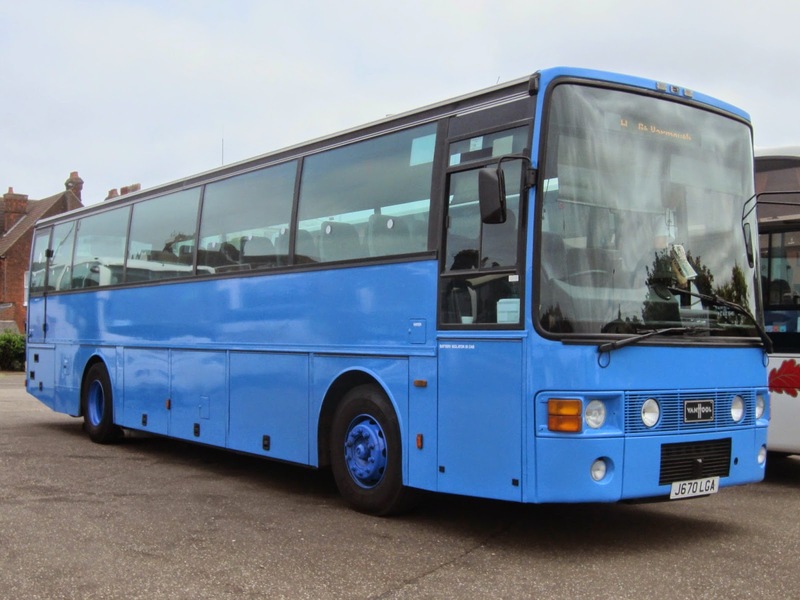 It has been revealed that Ipswich based Volvo B7TL 32479 will become the first vehicle to wear one of First's Heritage liveries which have been rumoured for some time. 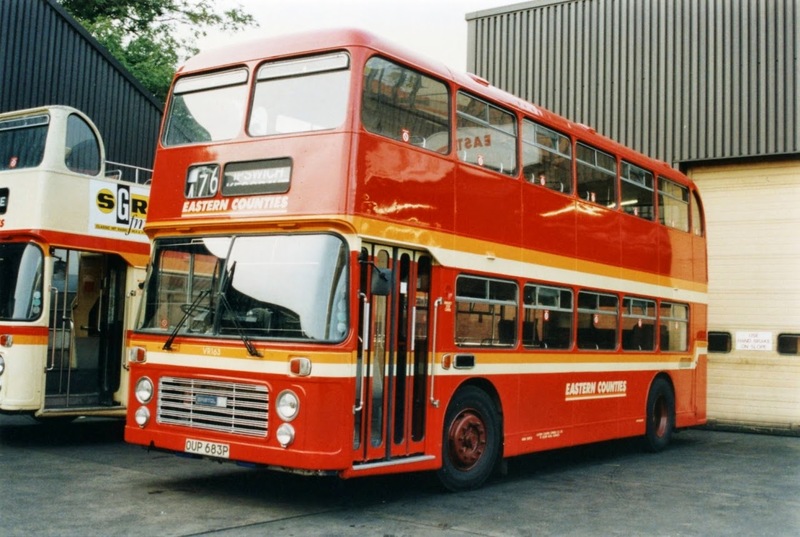 The livery chosen is the Post Office Red Eastern Counties style as seen here on freshly painted VR163 OUP683P at Ipswich Depot in the early nineties. 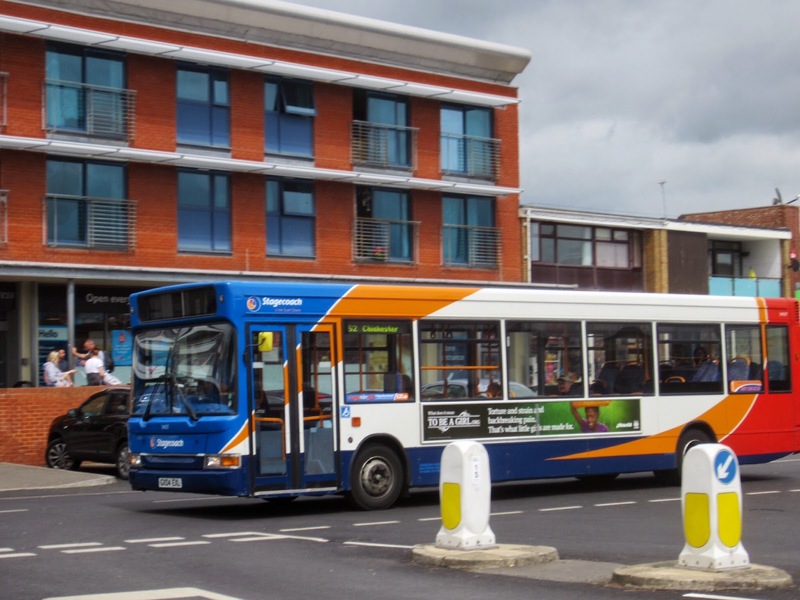 Jim Long is our man for Ipswich information and has kindly supplied the photos for this blog. refrubishment in the sunshine of August 1993. 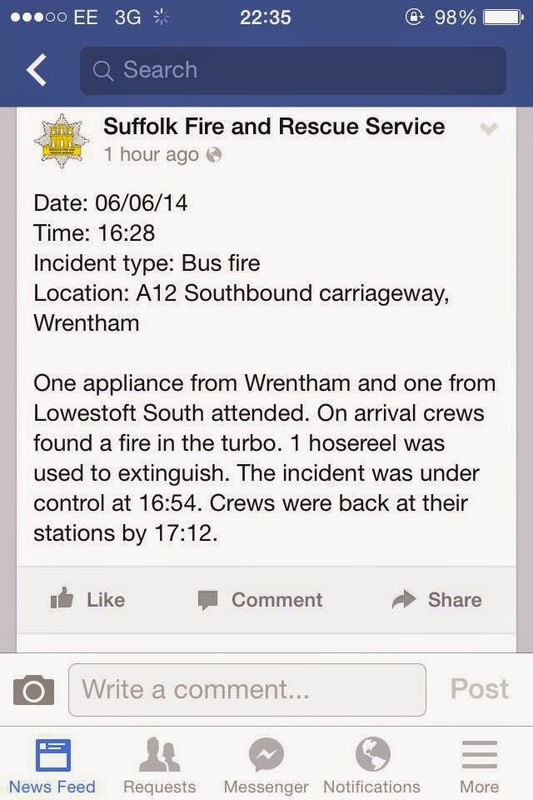 Suffolk Fire and Rescue Service reported a bus fire at Wrentham in Suffolk late this afternoon.